The Tripura CM said that getting land for business is not a problem in the state and the revenue department will help will all relevant documents. However, the buyer has to purchase land directly from the owners and government will not mediate in this regard, he added. 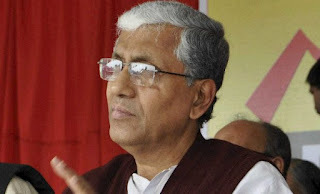 Speaking on insurgency, Sarkar said that it is largely under control because of the active support and measures taken by the Bangladesh government. He believed in not depending entirely on security forces but to take support of the people and follow a holistic approach comprising ideological, political and social dimensions to deal with insurgency. Prince and Nora Playing a Game of Love!